Developer Lendlease has announced that it has secured International Workplace Group’s (IWG) co-working brand, Spaces at its Melbourne Quarter precinct within Melbourne's Docklands urban regeneration project. 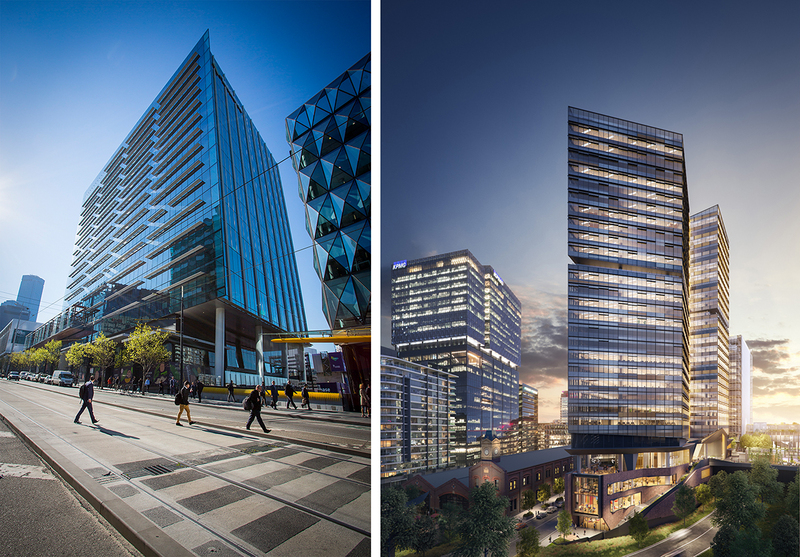 Spaces will occupy approximately 7,000 sqm of space across two buildings comprising, one floor within the recently completed One Melbourne Quarter, and upon completion, more than 4,000 sqm across two floors at Two Melbourne Quarter, currently under construction. As part of their tenancies, Spaces will also utilise the business lounge facilities in each building’s lobby providing extensions of their workplace with members also having access to the precinct’s wi-fi enabled Sky Park. Overall, Spaces will provide 700 flexible workstations when it moves into One Melbourne Quarter in May and Two Melbourne Quarter once it is complete in mid-2020. Space will join future Melbourne Quarter tenants AMP and EnergyAustralia,and Arup and Lendlease, who have already taken occupation of their respective workspaces within One Melbourne Quarter. According to Spaces, its model allows customers to pay only for the space they need, scaling operations up or down to boost employee productivity in their choice of work environments. Meanwhile, construction is continuing in earnest at Melbourne Quarter with Two Melbourne Quarter's floorplates and core now well above street level and the first panels of facade now installed on East Tower. Spaces’ presence at Melbourne Quarter will provide businesses with more adaptable and dynamic places to work. Lendlease is designing precincts with flexible workspaces that provide transport connectivity, outdoor green spaces and retail amenity in one location. Spaces will introduce a broad range of organisations to Melbourne Quarter, presenting an exciting proposition for the precinct’s existing workforce and retailers. There is a workspace revolution underway in Australia and businesses of all sizes are waking up to the strategic and financial benefits that flexible office space can provide. This will be the fourth Spaces co-working centre located in Victoria and we are extremely excited to be located in the new Melbourne Quarter Precinct. This year, the growth of flexible working is predicted to rise across Australia, as more office-based activity is demanding greater choice and flexibility in the workplace, for businesses, organisations and their employees.